My husband and I were very pleased with our experience with Carpet Depot. We initially went to the big name home improvement stores, but found their customer service lacking and their prices much higher than we expected. We were surprised at how much lower Carpet Depot’s prices were. They have a good selection to choose from, and the salesperson was far more knowledgeable than the people at the large retail stores. We were able to upgrade to better quality carpeting for a lower price and we are quite happy with our purchase. I would not hesitate to recommend Carpet Depot to anyone looking for new carpeting at a great price. Thank you very much for the great carpet job at our lake house. The new carpet looks and feels wonderful. From our visit to the store we felt very comfortable with Carpet Depot. You helped us choose the right color and texture carpet for the job. The installers arrived at the scheduled time, moved all the furniture, installed our new carpeting, and left our home clean and looking beautiful. WE WEREN’T EVEN THERE! It is refreshing to find a company with excellent customer service. I will recommend Carpet Depot to my friends and family. My company has been doing business with Carpet Depot for over 8 years. We do home remodeling and renovation in the metro Atlanta area. 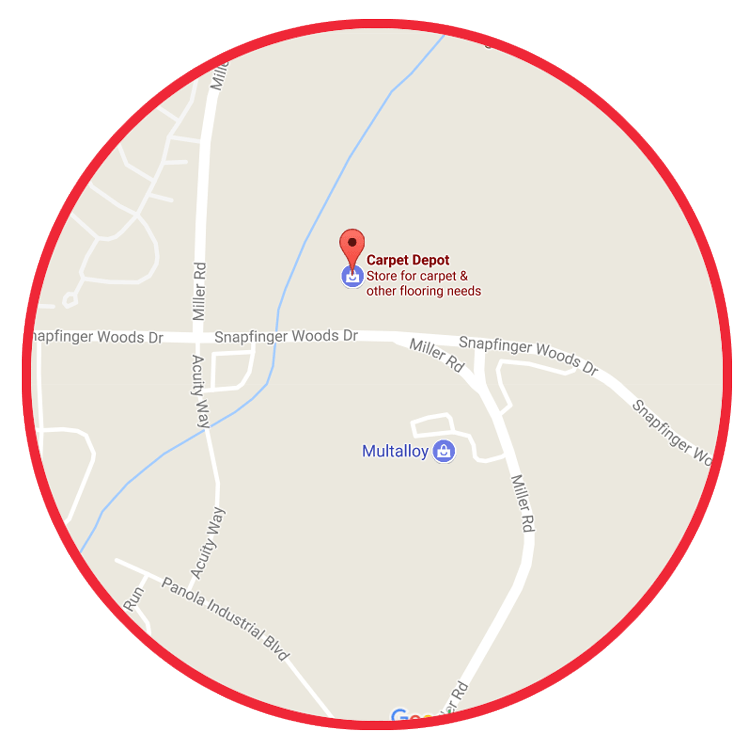 Carpet Depot has installed over 150 houses for us with new carpeting, vinyl and hardwood floors. Their service before, during, and after the sale is exceptional. We started doing business with Carpet Depot because of their low prices on in stock carpet rolls. This has never changed. Carpet Depot’s combination of excellent prices and honest service is rare in this day and age. They are the most reliable company on my subcontractor list. I just wanted to take a moment to tell you how wonderful the carpet looks. Last week, our installers arrived and laid the carpet and we couldn’t be happier. A couple of years ago some friends of ours had this type of carpeting put in and we fell in love with it. Once our children got a little older we decided it was time to get new carpeting and little to our surprise the estimate from or local carpeting company came in for over $4,800.00 dollars. We had even thought of just getting the Awestruck for our living room and something less expensive for the rest of our house. How wonderful for us to find your web site. The total cost of the carpeting, shipping to Indianapolis, installing, etc. was at least 60% lower than our local companies. Yes, I checked several companies and they were all over $4,800.00 If we need carpeting in the future we will start with you.